Navigate: StoreFront / Terminals / Ring Terminals / 14-16 Gauge / #6 Ring / 3221 Non-Insulated Narrow Width #6 Ring Terminal / 14-16 Ga. / 25/pkg. 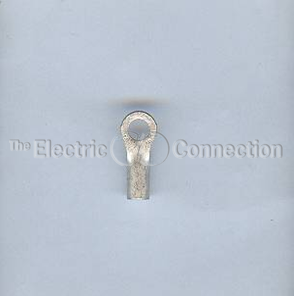 3221 Non-Insulated Narrow Width #6 Ring Terminal / 14-16 Ga. / 25/pkg. 14-16 Gauge Non-Insulated #6 Ring Terminal Narrow Width 25/pkg.